Fado, a traditional music style popularized in the streets and taverns of Lisbon during the 1800s, is Portugal’s version of the blues. Birthed amid the underclass of the city, fado gradually gained popularity, moving out of seedy taverns and into upscale dance halls and theaters before falling out of fashion in the late 1970s. The Fado Museum occupies a former pumping station in Lisbon’s Alfama District, the neighborhood where fado was born, and traces the history of the musical style through a collection of recordings, posters, costumes, vintage memorabilia and interactive exhibits. 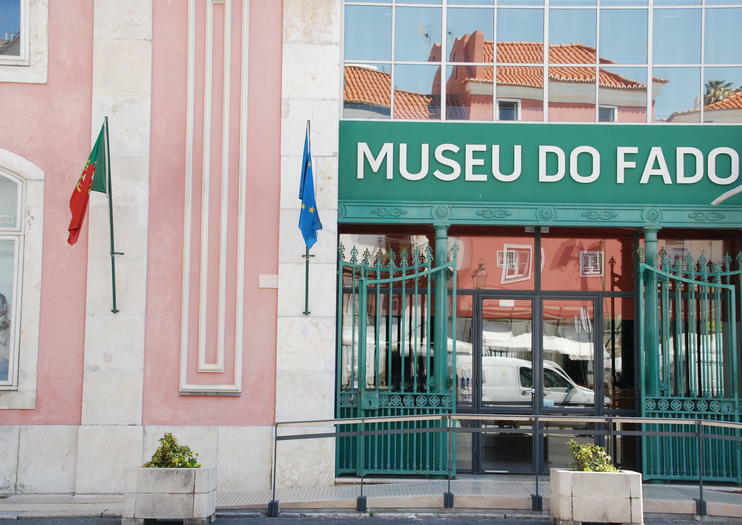 An onsite museum school offers courses in fado lyrics and Portuguese guitar. The museum shop sells albums by iconic fado artists — a lightweight souvenir by which to remember time spent in Lisbon. The Fado Museum is closed on Mondays. Explore the historic neighbourhood of Alfama at your own pace with this self guided audio tour perfect for story lovers and photography enthusiasts. Beginning at the top of the Alfama, by Santa Luzia viewpoint, you'll weave your way through timeless streets while discovering the stories and history that this ancient neighbourhood hides in plain sight. The tour is ready whenever you feel like taking a stroll. It plays audio automatically at exactly the right time and place using your smart phone's GPS and the VoiceMap mobile app, which also works offline. If you've got an hour and want to see all the major historical and cultural themes that this picturesque quarter has to offer – this is the tour for you! Opt for a personalized experience of Alfama, Lisbon’s oldest district, on a private half-day tour including dinner. With just your private guide and party, you’ll learn about Lisbon culture at the Fado Museum; navigate the cobbled streets of Alfama; and absorb panoramic views of Lisbon from a lookout point. Plus, a Portuguese dinner and hotel pickup and drop-off are included. Lisbon is Europe’s second oldest capital city. Founded in 1200BC it is a story so old its origins are shrouded in mystery. What we do know is that the city’s earliest occupation was in the Alfama. This is the site of Lisbon’s earliest places of worship, the heart of Rome’s occupation, the center of the Moorish city and its Christian reconquest, and one of the few areas to survive the earthquake of 1755.Our walking tour will wind through the vertiginous streets of Alfama, a far cry from the orderly grid of the downtown Baixa, taking in some of its most important sites. This is more than just a historical tour, this is an anthropological look into the very heart of what makes Lisbon so uniquely special. When your cruise ship drops anchor in Lisbon, make the most of your time in Portugal’s capital on a private shore excursion. Eliminate the stress of navigating a new city as a private guide transports you between top attractions such as Belém Tower (Torre de Belém) and Lisbon Cathedral (Se de Lisboa). Then, you’ll experience a fado show and enjoy a traditional Portuguese dinner. Hotel pickup and drop-off are included.